Shopping and craving a knödel? Can’t watch sports without a stein in hand? 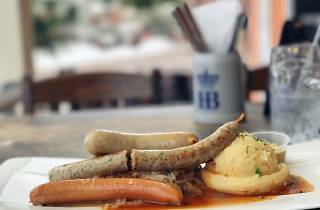 Head to Bavaria Haus, the second venture by the Hofbräu Beerhall team. 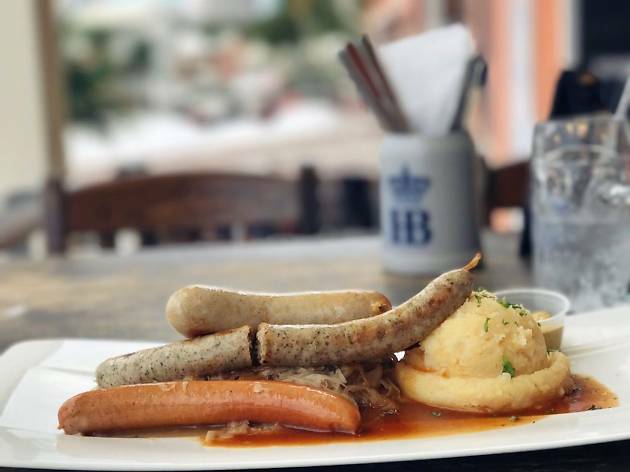 Inspired by Southern Germany, this 21st-century gastropub serves everything from schnitzels and pretzels to crispy grilled pork belly with spätzle. Beer is cold and directly imported from Munich. There are three signature German beers on tap all year long. During Oktoberfest, order the haunt’s seasonal namesake brew: the full-bodied “Oktoberfest” is made from the same batches used at the Hofbräu tent at the real festival in Germany.